Far from being shadowy figures, insurgents are some of the best-understood characters in history's dramas. The spectacular successes (the American colonists, Ho Chi Minh, etc.) and the spectacular failures (Che Guevara, James Connolly, etc.) invite examination and re-examination because of the importance of the events in which they played major roles. Revolutionaries are also very eager to talk about themselves and their movement. The goals and strategies of revolutionary warfare need to be communicated, clarified, and adjusted—particularly since their goals are ambitious, and therefore need to be made believable. Revolutionary warfare didn't start with Mao, but most contemporary discussions of him do. The Greek revolutionaries, ELAS, may have frightened Americans into fighting a Cold War, but they lost their bid for power. The Chinese Communist Party, in contrast, defeated its enemy, ignited fears about a possible global triumph of communism, radically altered the balance of power in Asia, and placed American, South Korean, and other UN troops in their first direct shooting war with a major communist power. The Chinese Communists quickly positioned themselves as the patron of other revolutionary movements, to the surprise and chagrin of both the USSR and the USA alike. It's not surprising, therefore, that Mao's theory of revolution became a blueprint for other insurgents. Since 1949, nearly every guerrilla movement has overtly embraced, modified, or rejected Maoist doctrine. Almost none of them have completely ignored it. In the end, the peculiar circumstances of a war might have mattered more to guerrilla strategy than the classic Maoist texts like On Guerrilla War. However, it's the rare revolutionary who hasn't acknowledged Mao, if only to explain the reasons for rejecting Maoism. 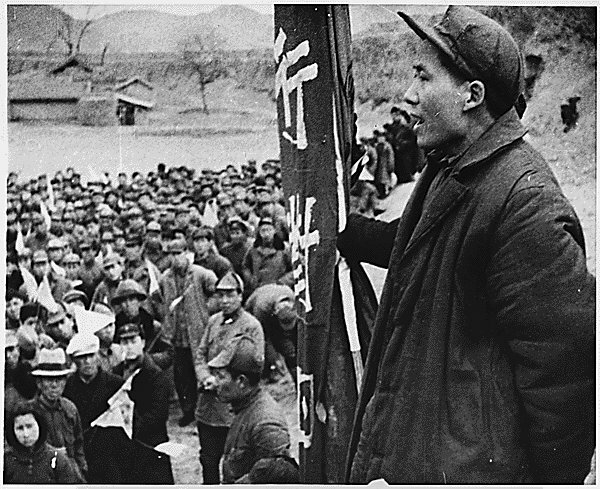 The Maoist strategy for revolution has three distinct phases that, of course, mirror the history of the Chinese Civil War. This strategy has the supreme virtue of making the incredible appear credible: the revolutionaries start as a weak, vulnerable, and desperate group. By the end of the conflict, they have become an unstoppable political and military force. In the first phase, the revolutionaries are building what Lenin called "the organizational weapon," the political, military, logistics, intelligence, and command infrastructure. Maoist revolutionaries aren't impatient to leap into the fray, as the Bolsheviks and Mensheviks did in the political confusion and despair following the fall of the tsar. Instead, Phase I is a quiet prelude for the real battle to come. 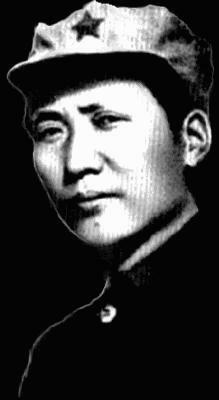 The revolutionaries, according to Mao, should be organizing where the regime is weakest. In China, as in many countries where the Maoist strategy has been attempted, the best place was the rural hinterlands. Not only did the government have a weaker (if any) presence in these areas, but the local population felt less affiliation with the distant centers of power. The Soviets looked on the peasants as the least revolutionary segment of a society—as capable of understanding revolutionary ideas as "a sack of potatoes," as Marx and Engels said in one memorable phrase. The Chinese Communist Party (CCP) didn't just reject the urban proletariat as their revolutionary allies because there weren't that many of them in China at the time. (Even more significantly, the Kuomintang drove the CCP out of the cities during the bloody clashes of 1927.) The CCP developed its own theory of the peasantry's revolutionary potential: what grievances it felt, how it could be recruited and trained, and how it could be spurred into action. Meanwhile, during this early phase, the proto-guerrillas hid among the rural population—revolutionary fish swimming in the vast sea of the countryside, to use Mao's famous metaphor. The real action occurs in Phase II. Based on their own experience, the Chinese Communists eventually recommended a strategy of avoiding direct confrontation with government forces. Instead, the revolutionaries need to strike where the enemy is weak: remote police or army outposts; towns and villages beyond the government's reach to occupy; rail and telephone lines; anything else that was politically or militarily significant, but incapable of being defended adequately. In short, the revolutionaries need to maintain the initiative at all times by turning weakness into strength. While the government army might be bigger than the guerrilla movement, it can't defend everywhere. By remaining invisible, or in sanctuaries safe from the enemy, the guerrillas can strike at the time and place of their choosing. The CCP learned some hard lessons on this point, having spectacularly failed to defeat the KMT in more conventional military clashes. The point of Phase II, however, is not military. Military action is one prong of the attack on the regime; so, too, are efforts to organize an effective counter-government in liberated areas, maintain a flood of propaganda, subvert the government through infiltration, and take all other measures that erode the regime's political foundations. Defeating the enemy army isn't the point; destroying the confidence of the population in the government, and the confidence of the government in itself, is the ultimate objective. Military and political action, therefore, is simply a tool to win allies in the population, or convince an even larger audience that history is on the side of the revolutionaries. Phase III, therefore, is merely the denouement. The revolutionaries carry out a final assault against the mortally wounded regime. The army may be too weak to resist, or it may even turn on government leaders. However this final act plays out, the ending should be the same: the hollowed-out regime crumbles under the final revolutionary onslaught. As you might infer from this description, being a successful Maoist revolutionary requires a lot skill than just firing a rifle. Maoists have to be capable organizers, patient military commanders, and astute political operatives. They need impeccable timing to know when to initiate Phase II and Phase III. Most of all, they have to maintain a laser-like focus on politics—the political conditions now, and the steps toward creating the regime's political collapse in the future. In this sense, Mao was the consummate Clausewitzian strategist. Today, in Iraq and Afghanistan, we face enemies using a version of the Maoist strategy. In one case, they've been successful, at least in keeping the movement alive. In the other, the only movement you might label as Maoist has failed. The Army of the Mahdi, led by Muqtada al-Sadr, tried to create a mass movement. Its methods were very different from those of the strictly terrorist groups like Al Qaeda in Iraq, which doesn't care about mass mobilization. Although not avowedly Maoist, his general thrust was the same. However, his methods appeared more like Castro's foco strategy, which reversed Mao's Phases I and II. Rather than wait until the revolutionary infrastructure was solidly in place, the Army of the Mahdi leaped immediately into action, hoping to impress or intimidate the population. After clashes with American forces in Najaf and other cities, al-Sadr's movement stalled. The Sadrists proved to have more ardor than skill in political and military affairs, and many Iraqis to see them as both arrogant and dangerous. Having failed to mobilize a mass movement behind him, al-Sadr agreed to de-mobilize his fighters and join the "normal" political process. The situation in Afghanistan, unfortunately, is much different. The remnants of the Taliban have survived and, by some measures, prospered. Although under regular attack by Afghan and NATO forces, the Taliban has increased the frequency and lethality of its attacks in the last 1-2 years. The Taliban already won a Maoist-style war against the mujahideen. In fact, the Taliban movement itself was a reaction to the corruption and brutality of the mujahideenonce they defeated the communist regime and seized power. (The ethnic tensions between the Pashtun-dominated Taliban and the predominantly Tajik and Uzbek mujahideenplayed an important role as well.) The Taliban knows how to hide in Afghanistan's hinterlands and fight an indirect war against a more powerful adversary. The current regime in Kabul is nothing like the mujahideenregime (even though many former mujahideennow have important roles in the Afghan government), but the story outside of Kabul is quite different. "Warlordism" is still the curse of Afghanistan, which the Taliban readily exploits. The normal petty corruption of life under the warlords is magnified by the opium trade. The lack of leverage that the Kabul government has over the warlords is visible to all. While people were willing to vote, in the hope of a better situation, the government most Afghans elected is still a geographically and politically distant entity. Even though the Taliban doesn't quote Maoist tracts, they do have a key virtue for the Maoist style of warfare they're pursuing: patience.